With the recent passing of one of America’s most beloved (and vehemently despised, but nevertheless indisputably influential) authors – according to The Guardian‘s Robert McCrum “the fall of a Giant Sequoia in the National Park of American letters” – I encourage readers of The Sonora Review to check out the below articles, some of the better articles that have surfaced in the past few years, as well as amongst the vast outpouring since January 27, 2010. From The New York Review of Books, an extensive discussion in response to Salinger’s critics, published in 2001. From The New York Times, a 2009 essay on the contemporary (ir)relevance of The Catcher in the Rye, & from the NYTimes blog, the voices of contemporary teenagers on the book. From Slate.com, an article on The Catcher in the Rye, which, despite never having been officially made into a major motion picture, has, along with the fictional members of Salinger’s Glass family, influenced a variety of writers and directors (most notably, Wes Anderson) for decades. From Denver Music Blog, a look at Salinger’s legacy in the music industry. 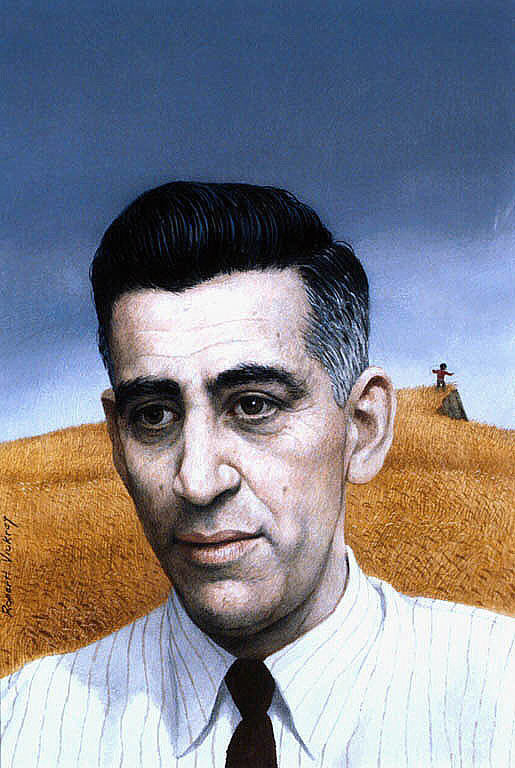 From the NYTimes, Salinger’s neighbors in Cornish, N.H., remember him. Stephen Colbert on Salinger’s celebrity. A close reading of Vickery’s portrait, now hanging in the Smithsonian.